Summer’s here – time for swimming, napping in the hammock, catching lightening bugs in a jar, and yum! fresh, warm cherry pie. If you subscribe to the legend of George Washington chopping down the cherry tree as a boy, then this hankie is about as all-American as you can get. It practically says church picnic and patriotism all rolled into one. 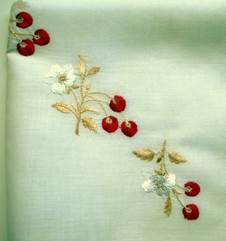 The beautiful embroidery combined with the formal white border render it elegant and timeless – equally appropriate for the wife of a President or the girl next door. 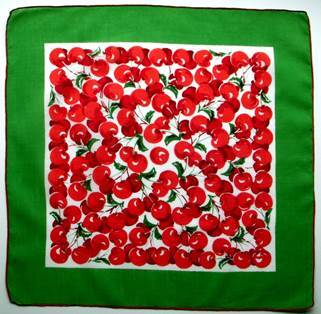 The kelly green border on this stunner makes those red cherries zing! It’s the perfect accessory to tuck in a pocket or drape over a belt to brighten an ensemble. The unusual and sophisticated black hankie with the brilliant red border is nothing short of spectacular when it comes to flirting. 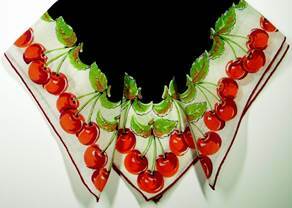 I’ve said elsewhere, but it bears repeating, handkerchiefs were originally fashion accessories (see history) not utilitarian, and these fanciful red cherries are the perfect visual to catch someone’s eye when you’re intent is to flirt. 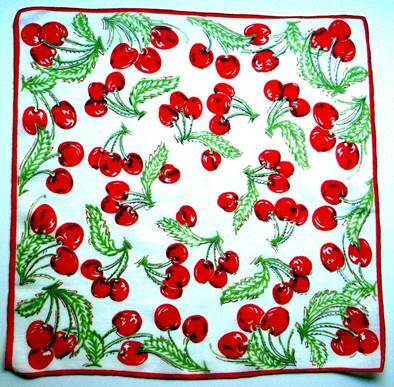 Cherries which form an all-over pattern on this hankie are reminiscent of the tablecloths, aprons and tea towels of the 1930’s and 40’s. Along with images of apple blossoms, sunflowers, and the ubiquitous rooster, cherries helped to cheer up the kitchen on a rainy day. 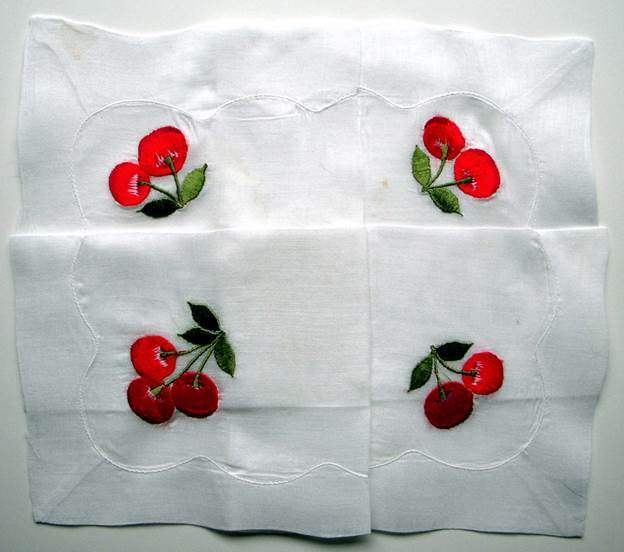 So too, this hankie could add a pop of color and perhaps coax a much needed smile to the wearer of a a well-worn wardrobe during the decade of the depression. 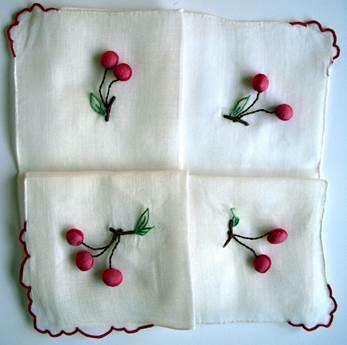 This needlepoint cherries on this linen hankie would make the perfect gift for a special birthday, teacher, Mother’s Day, etc. At least five different reds are employed to shade, highlight, and render the image juicy and ripe. 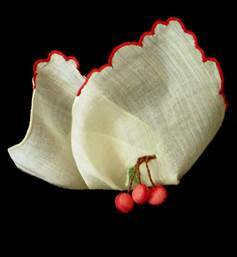 The handwork is impeccable, assuring the recipient she is special indeed. 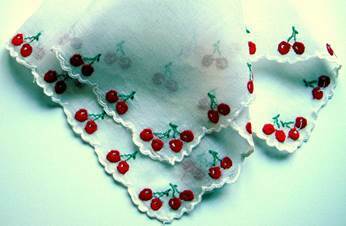 The sweet scalloped border adorned with dozens of cherries conveys innocence and charm, making the hankie on the left the perfect present for a young girl. Conversely, when paired with a sedate suit, it softens the impression of “all business” and telegraphs the message “approachable and friendly.” Either hankie could be an effective choice when sitting down for contract negotiations, to throw your opponent off his game just a bit. 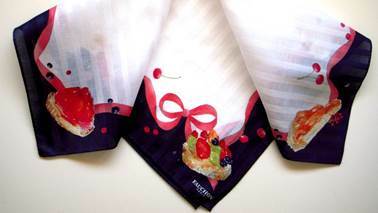 Founded in 1886, Fauchon is known the world over for their pastries and “Grand Salon de Thé.” Favored by the wealthy and famous, Fauchon refers to their pastries as “celebrations.” This hankie with cherries and blueberries floating betwixt the gastronomic creations is mouthwateringly fun. Carry this beauty in your pocket and you’ll be mentally transporting yourself to the Place de la Madeleine to indulge in delectable delights. 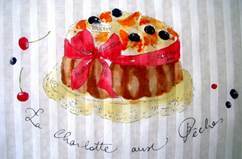 Breakfast at Tiffany’s be damned; let’s feast on Cherries at Fauchon! 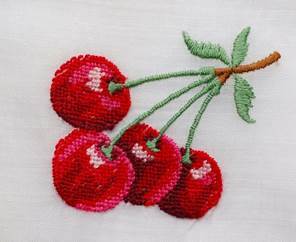 The image of cherries was so popular, people showcased it in their personal monograms. 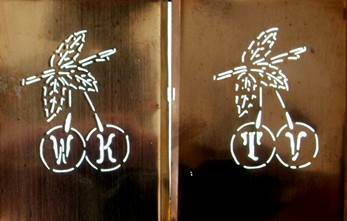 These antique copper stencils provided a seamstress with a master pattern to follow when embroidering – everything from handkerchiefs to hand towels. I photographed them on a light table to make them easier to view. A more elaborate tin example of monograms guides can can be found in Artiste Extraordinaire. 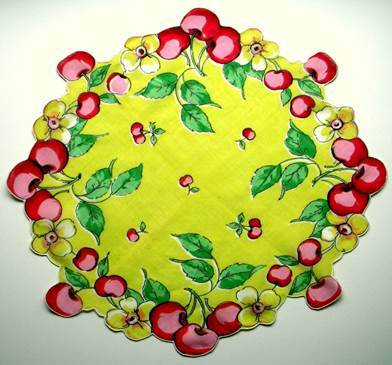 The deep rich hues and tangy tartness of cherries lend themselves to a variety of interpretations for handkerchiefs, with images as varied as the artists who create them. 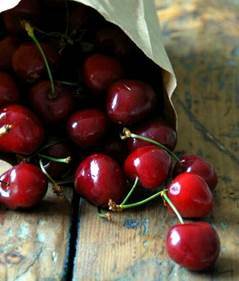 Regardless of the weather or your personal mood, you can’t help but feel lighthearted when you spy a shiny bowl of cherries, thus it isn’t surprising that a song about them would eventually be created. The catchy tune Life is Just a Bowl of Cherries appeared in “George White’s Scandals of 1931” during the heart of the depression. Not only were the lyrics apropos for that era, the message has turned out to be timeless. Over the years everyone from Rudy Vallee to Judy Garland, Dean Martin to Doris Day have reprised the song. 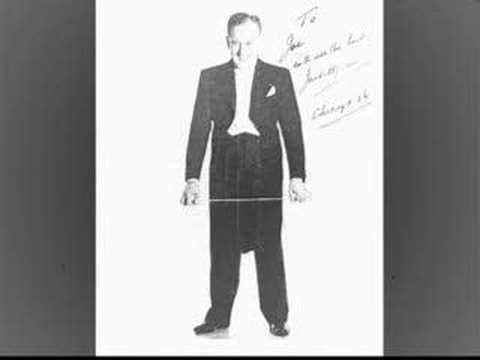 Here’s an upbeat version from 1931 done by Jack Hylton and his orchestra. Enjoy as you scroll through the images one more time. Why don’t they stop someday, address themselves this way? Why are we here? Where are we going? It’s time that we found out. We’re not here to stay; we’re on a short holiday. Don’t take it serious; it’s too mysterious.